I have group shows coming up in August at Axis Gallery in Sacramento, Outer Edge Studio in Monterey, and The Hive Gallery in Los Angeles. My July shows at The Hive in LA & Hide Gallery in Santa Cruz will also be up through the end of July (contact galleries for specifics; all info is on the blog entries preceding this one). My online solo show at www.art-on-line.net is up through the end of July, and thereafter will be archived permanently under the "past shows" section of this wonderful UK-based site. 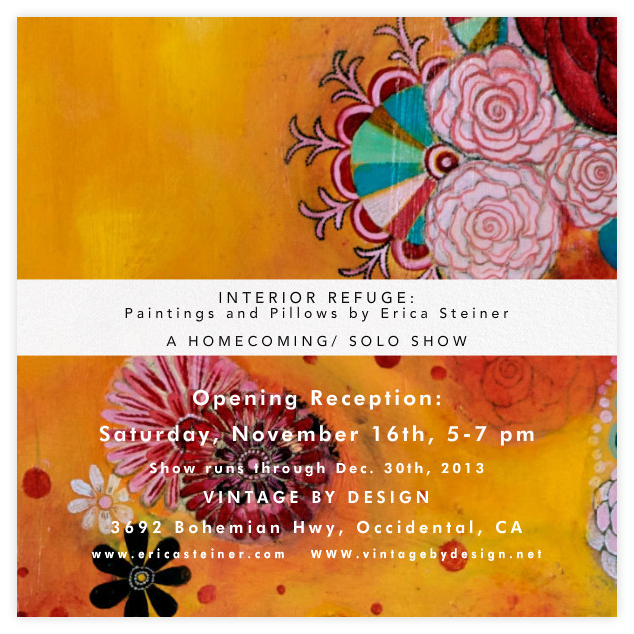 I also have a solo show coming up in September at the Jackson Theater gallery in Santa Rosa; more details to come. Before I say more, I gotta take a second to plug the Camille Rose Garcia show at the San Jose Museum of Art. I was there over the weekend and I'm dizzy from it. I think it's up through September...so stop by if you can. Even if you don't dig Lowbrow, it's an awesome achievement. Bigger than life, powerfully enchanting, highly political, stunningly beautiful and deeply disturbing. Anyway, back to the bizness at hand: below are the postcards/details for my upcoming shows in August. As always, feel free to contact me with any questions. Thanks so much, dear friends, for loving art and this vida loca. 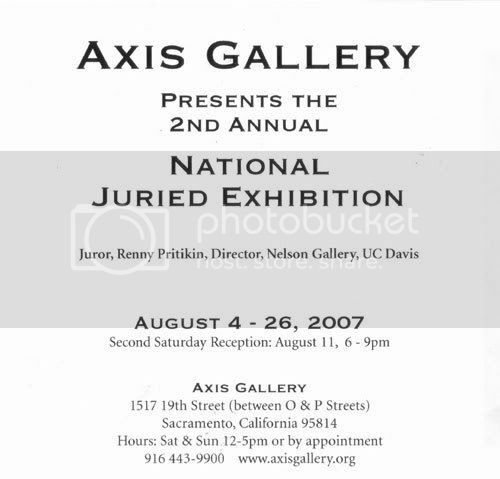 For a preview of the works in the Axis Gallery show, click here. If you're anywhere near Sacramento in August, I hope you'll stop by and have a peek. I think it's going to be an exceptional show, from what I've seen of the work. Aaron's in there too, though his name didn't make it on the flyer. 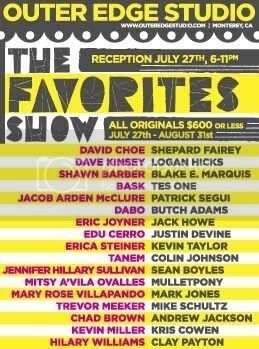 Aaron & I both also have pieces in this show. Unfortunately we won't be able to be at the reception, but if you're in the area, we hope you'll stop by. 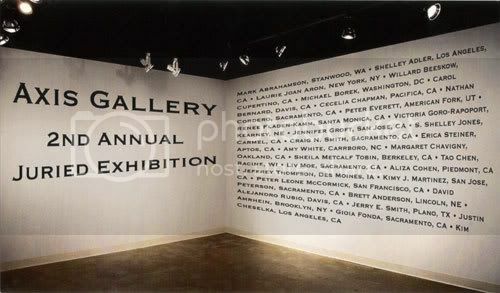 Check out www.hivegallery.com for more information & a complete list of artists. Published on July 24, 2007 .